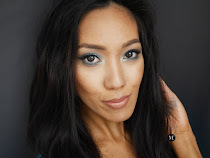 MEET MARIEE: CONTOUR GAME LEVELLED UP! Highlighting and contouring is not something that I really pay attention to. However, since the makeup trend of chiselled cheek bones and highlighted under eyes blew up, everyone hopped into the bandwagon. I myself did and was actually proud to kind of master the art of contouring with powder. Though I often catch myself with really muddy and patchy looking contour! The key to makeup is to BLEND! No matter what you do it is always good to spend hours in blending and buffing! Cream products is not something I gravitate towards nor something that I enjoy using. I find it messy and a little too creamy for my liking! Having an oily skin, I always think that cream products will disappear and melt off my skin. 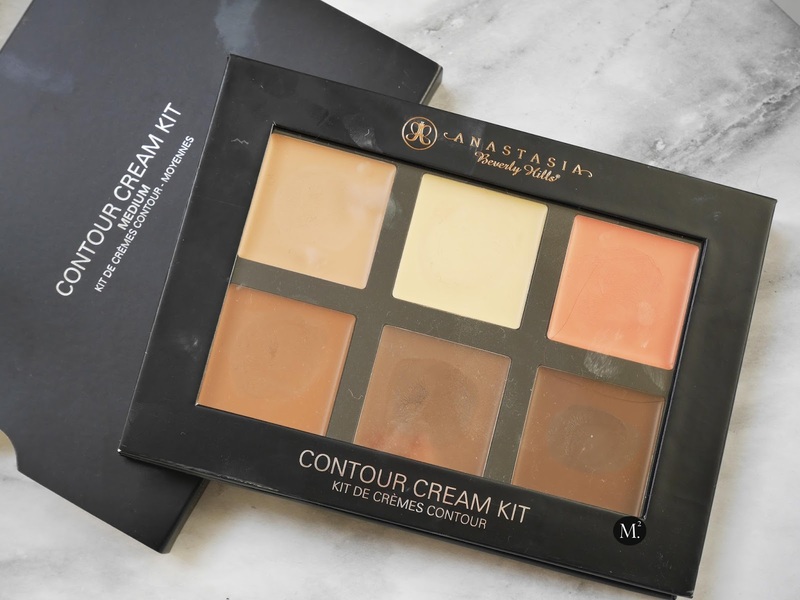 But whatever, I swallowed my pride and purchased my very own Anastasia Beverly Hills Contour Cream Kit! The main reason upon purchasing this product, is the orange shade called Warm Coral. I have really dark under eyes, and I read that orange concealer counter acts the darkness. Tried the technique, and I fell in love! The formula is very bendable, creamy, and pigmented! A little goes a long way. Then I figured, while I'm at it might as well try cream contouring! I did start of with Cinnamon to bronze the skin a little bit but the shade was quite too warm. Mixing it with Chocolate was the best decision ever! I used my fingers to mix both shades and dot it around the perimeter of my face where I want contoured. Then with a damp beauty sponge / blender I pounce it to blend the contour shades. One thing to keep in mind is to start small and gradually build the product up! Before cream contouring, I would just use powders and my contour never lasts! I can't also see any dimension after 3 hours of wear which means my excess oil dissolved the powder! But using cream contour as a base, and setting it with powder, my contour pops and it does not look overpowering or too muddy! The palette comes with 3 different shades and I got mine in Medium. 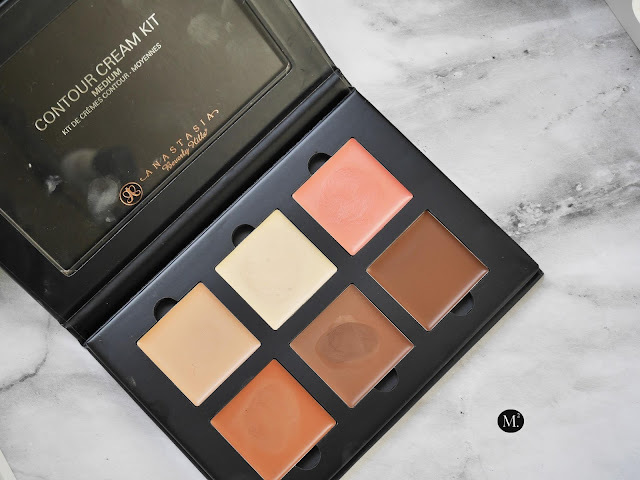 It is totally refillable as you can pop the pan when it is empty which is something I like as supposed to throwing the whole palette away when its all used up. 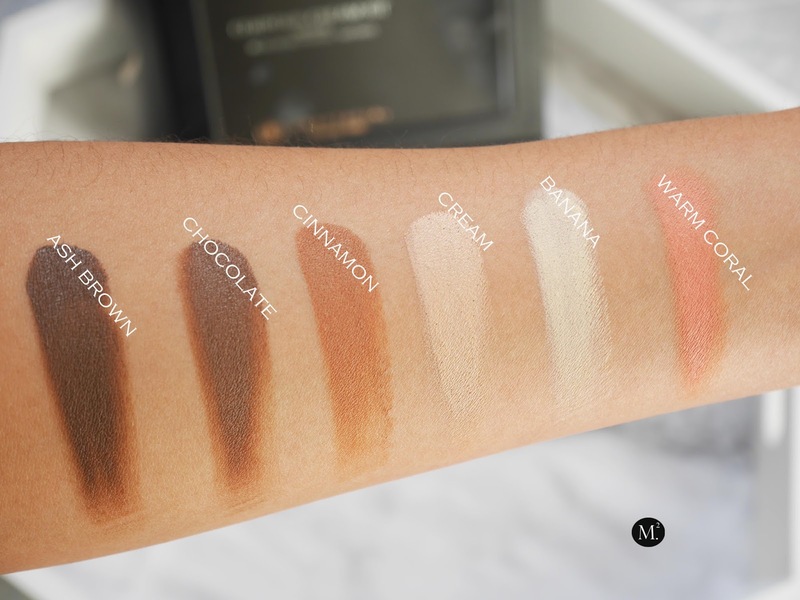 You also get 6 different colours - warm coral (for cancelling darkness), banana (to highlight), cream (conceal under the eyes or for carving the brows), cinnamon (ideal for bronzing), two contour shades chocolate and ash brown. 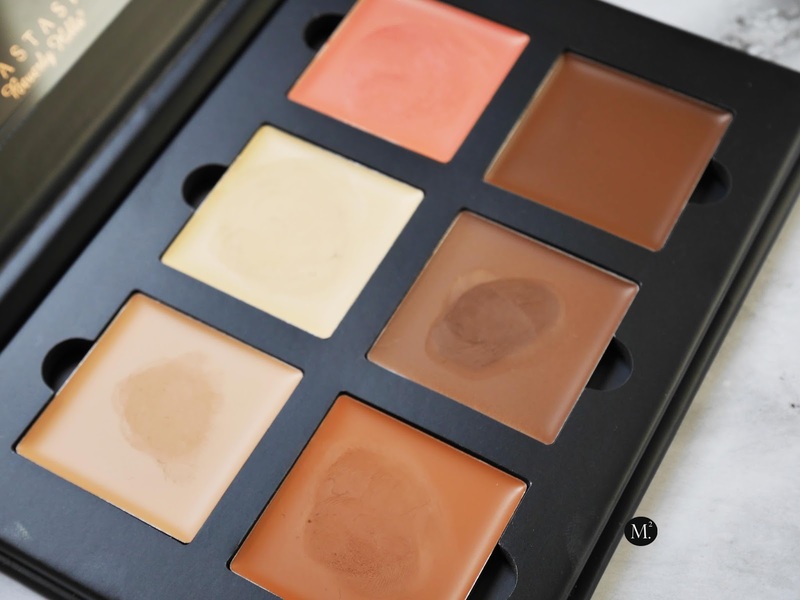 All shades are very pigmented and blend able! It also does not have that greasy consistency that cream products tend to have which is awesome! I feel like it works with every skin type and a great palette to have!